Wendy Lodder is fighting a rare type of chest cancer with the help of Guy’s Cancer. To show her thanks for their support, she held a very special golf day to raise funds towards research into the condition, which was attended by six-time world champion snooker player, Steve Davis. Back in October 2016, golfer Wendy Lodder was diagnosed with thymic carcinoma, a rare gland cancer which occurs in the chest. The condition is so rare that there are less than 10 cases a year in the UK. It was the pain in her chest and back, as well as breathlessness, which first flagged an issue. Wendy continued on as normal, but everyday things became far more difficult. For example, playing golf became more of a challenge as a tumour that was growing in her chest had, in fact, broken her sternum and spread to her lung and spine. Wendy has been able to access vital expertise for her condition through the Cancer Centre at Guy's, but travelling from Colchester to London to receive treatment was a big effort. 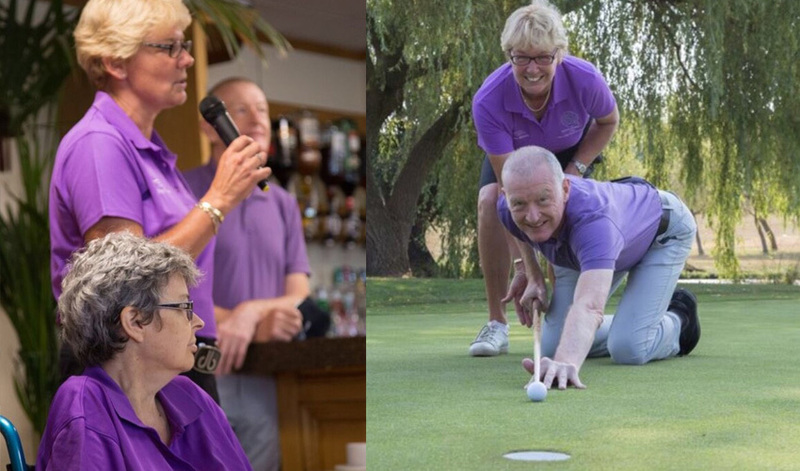 Wendy is a single figure golfer with a wide circle of golfing friends, so she decided to hold a golf day at the Three Rivers Golf and CountryClub in Essex to raise funds for research into thymic carcinoma. Her close friend, PGA and England coach, Sarah Bennett, helped to arrange the day, which took place on 26 July 2018. Two-time Ladies European Tour winner Joanne Mills flew in from Australia to see her good friend Wendy and support the day. Over 100 people attended, dressed to impress in purple – Wendy’s favourite colour – as a show of respect for her. Other than Wendy there were two guests of honour in attendance – the snooker player, Steve Davis, along with Dr Rohit Lal, consultant oncologist at Guy’s Hospital, one of Wendy's doctors. Steve even managed to sink a hole in one with his snooker cue! The event raised just under £18,000 – an incredible amount – which will go towards research into thymic carcinoma led by Dr Lal. The research will allow oncology teams to offer potentially life-saving treatments to patients battling this terrible disease. Currently, chemotherapy and surgery are the only options available to treat thymic tumours, and without investment in research, less invasive therapies will continue to be out of reach to patients in the UK. ‘Guy’s and St Thomas‘ and King’s College London need more support to advance research into better treatments for this type of cancer,’ says Wendy. 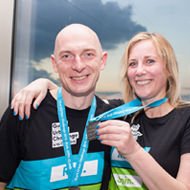 You can help Wendy hit her fundraising target of £20,000 here. Picture: Wendy and Sarah address the event, Steve Davis gets a hole in one.